Amazing sandy beaches for that perfect Family holiday, self catering holiday, beach holiday or whichever Libraholidays holiday to Protaras you choose, we guarantee you won’t be disappointed. Holidays in Protaras attract couples and families looking to enjoy the fabulous beaches of eastern Cyprus while remaining apart from the younger louder atmosphere at Ayia Napa, 9 miles to the south. Protaras holidays are based in a modern beach resort with around four miles of beaches and coves on the glorious east coast of Cyprus between Ayia Napa and Paralimni, less than an hour from Larnaca airport. Holidays in Protaras have proved consistently popular with families looking for classic Cyprus beach holidays with plenty of facilities and entertainment and some of the best sandy beaches in Cyprus. 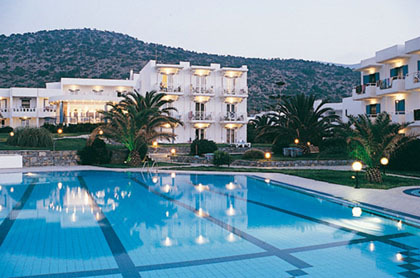 Holidays to Protaras – Fine beaches with beautifully crystal clear water. Protaras holidays feature several excellent beaches with safe gently shelving fine white sand and calm clear water ideal for families with small children. The main Protaras beaches are at Pernera beach to the north, Fig Tree Bay to the south and Kepparris near Paralimni. For a quieter Protaras beach try the small coves on the rugged coastline to the north, or explore the isolated small coves on the unspoilt coastline towards the headland at Cape Greco. Both areas offer good snorkelling and diving. Protaras holidays can take advantage of the pleasant coast path that connects Protaras beach with Ayia Napa beach, passing sea caves, cliffs and ancient ruins. Protaras holidays provide visitors with an exceptional range of watersports, including paragliding, windsurfing, diving, snorkelling, jet-skis and waterskiing. Children on holiday in Protaras will enjoy the local water park and the much larger Water World at Apia Naya.Protaras Holidays – The resort of Protaras on the south east coast of Cyprus has all the trappings of the larger, more frenetic Ayia Napa that is a few minutes drive away, but it is far more family friendly and boasts the best beach on the island, fabulous Fig Tree Bay. Protaras is actually a town built on a piece of flat, scrubby land expressly for the purpose of catering for British holidaymakers. Just adjacent to the village of Paralimni, Protaras consists mainly of a grid of restaurants, nightclubs and shops surrounded by numerous hotels and holiday apartment blocks. Landscaping is rather lacking and the buildings do not follow any theme: it is a hodge-podge of architecture and concrete that can get blistering hot in the summer sun. 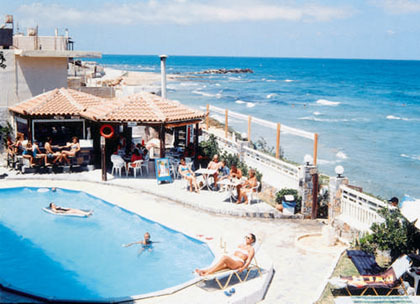 No-one seems to mind the lack of genuine Cypriot atmosphere, however, because Protaras does what it was intended to do, and that is give everyone a great holiday. Then, too, it has the magnificent golden Blue Flag beach, which stretches for 10 miles (16km) or so shelving gently into the crystal clear Mediterranean, and further up and down the coast a choice of secluded coves and inlets for those wanting moreBeaches in Protaras – the main beach at Protaras offers a vast range of water sports opportunities and equipment hire, from paddle boats to jet skis. 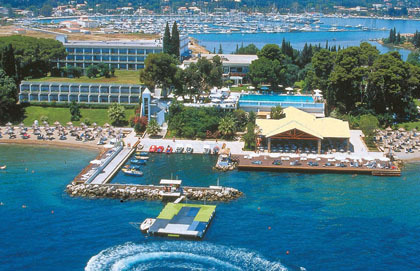 The resort caters particularly well for children, most of the hotels and apartment complexes offering excellent Kid’s Clubs. There are two exciting water parks nearby at Ayia Napa, which provide thrills and spills for all ages. Most visitors enjoy a stroll along the clifftops of the coastline, particularly in spring when the landscape is covered in wild flowers. The more energetic can hike up the steep crag on the outskirts of the resort to the Ayios Ilias Church from where there is a spectacular view. Local operators offer several day trips, sea cruises and excursions to places of interest, like into the Troodos Mountains or to explore the city of Nicosia. Dining Out in Protaras – Proataras has dozens of restaurants and fast food outlets, mainly catering for the usual tourist fare of pizza, curry, burgers and the like. Many local establishments are run by British ex-pats. Visitors who enjoy making the most of the local produce should opt for one of the many open-air seafood restaurants. For Cypriot specialities try Bambos, which serves a mix of local and international fare, or the Nicolas Taverna renowned for delectable kleftico. Ayios Elias Church, perched high on the hillside this church is worth a visit, but make sure you wear comfortable shoes! Liopetri Village, catch a glimpse of the skillful craft of basket making by the locals. Famagusta, visit the mysterious ghost town of Famagusta and marvel at the archaeological sites and the old town of Salamis. Nicosia Shopping, explore the cosmopolitan capital – a unique divided city, where you can shop til you drop! At Libraholidays Holidays you can search and book cheap flights to Cyprus, Larnaca airport from London Gatwick, Manchester and most other UK regional airports, including flights to Cyprus from Birmingham, Newcastle, Humberside and many more regional airports. 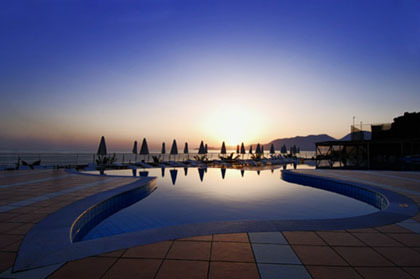 Transfer details, transfer time from Larnaca to Protaras: approximately 80 minutes. Private taxi transfer from Larnaca airport to Protaras (maximum 4 persons sharing) around £40 each way per taxi.